An Escape Room is a live game, similar to a movie, in which you, your friends, colleagues or family are the stars. During the game many objects will be locked, hidden or inaccessible. To access them you need to solve puzzles or interact with the room in a certain way. The objective is to solve these puzzles, complete challenges and decipher clues to complete the mission and open the final door to escape! Players will be taken to a room and will have to work together to solve problems, find clues and decipher codes to go forward in the game. You and your team will have 60 minutes to escape. Each room has a story and narrative that will be presented to the group before entering (as well as some basic instructions about the game). The Game Master will be watching you during the game and will give you clues if you need help. White Rabbit Escape Rooms are for people of all ages and abilities. No specific knowledge is needed to solve puzzles and puzzles. Just be creative and curious! An unforgettable experience for the whole family! They will leave it with amazing memories! A memorable day or night out with your friends? A weekend trip? A surprise birthday or a bachelor party? Come have fun and enjoy a unique experience! Can you meet any challenge? Whether it's a Rubik's cubes, online puzzles or board and computer games? Be the star of your own adventure! Or go one step further and challenge another team to compete. May the best team win! An activity to strengthen cohesion and team spirit. The most memorable work event ever! Your team has 1 hour to escape. The time factor is decisive. The Game Master will inform you of the remaining time in the game. An advice? Be quick or you will run out of time! The rooms are filled with challenges that have to be solved in less than 60 minutes. Work as a team! There are several puzzles hidden in the rooms. You and your team have to find and solve them to escape. The puzzles have various themes, formats and degrees of difficulty. You will have to discover codes, decode them and use them at various moments in the game to open boxes, drawers, safes and doors. These codes are not in obvious places, you will have to look for them. The best team is the one who knows how to work together because teamwork is absolutely necessary to play. The better you work together the greater the chances of escaping in time. Escape Rooms are an incredibly fun activity that raises adrenaline levels for the price of a trip to the movies. The difference is that here you are the Star! Give it a try! And we guarantee you'll want to come back. This is undoubtedly one of the most creative ways to celebrate a special date such as a birthday or a bachelor party. The White Rabbit can be your starting point for an unforgettable day! 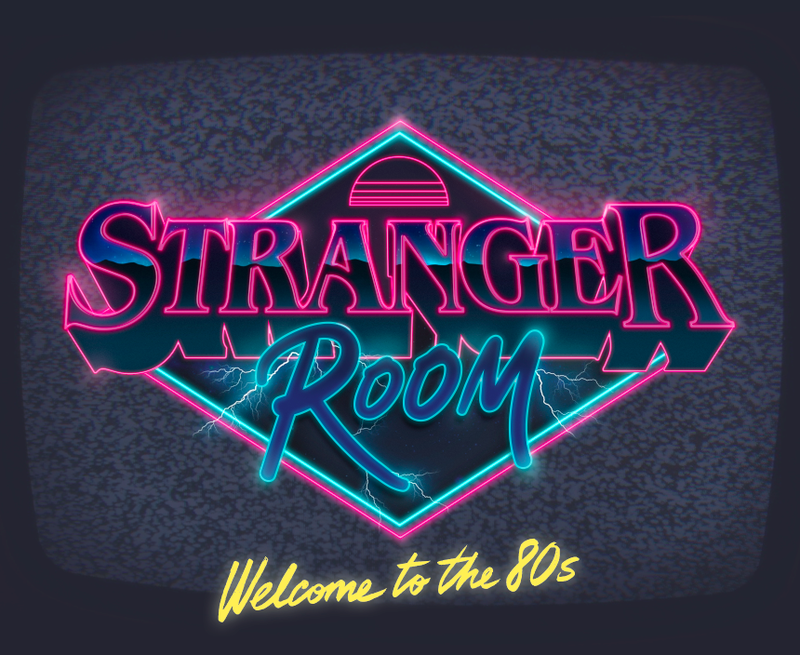 GO BACK TO THE 80´S IN THIS RETRO ADVENTURE! ARCADE GAMES, VHS, SPECTRUM AND DUNGEONS & DRAGONS! IN THIS ADVENTURE YOU HAVE 60 MINUTES TO GO BACK TO THE 80´S AND SOLVE THE MISTERY BEHIND THE DISAPPEARANCE OF FIVE CHILDREN. A CELL, A POLICE STATION AND 60 MINUTES TO ESCAPE! YOU WERE ACCUSED OF A CRIME YOU DIDN'T COMMIT. OR DID YOU? YOU AND YOUR TEAM HAVE 60 MINUTES TO BREAK FROM YOUR CELL, EXPLORE THE POLICE STATION, FIND THE REAL CRIMINAL AND ESCAPE IN THIS ESCAPE ROOM WITH A CLUEDO TWIST! If you have any questions, doubts or speacial requests don't hesitate to contact us! White Rabbit offers Team Building activities ideal for employees of any company. Escape Rooms require listening, dialogue and a lot of collaboration and teamwork and are a great change of pace for your workers. Groups will work together to solve problems, find clues and decipher codes to progress together. Teamwork is vital to success! Games are challenging and mentally stimulating, but do not require physical exertion. Each game has a theme, so the environment is fun and full of surprises and emotions (as opposed to more traditional Team Building activities). Besides, it only lasts one hour. Escape Rooms are exciting, unique and, most importantly, the most memorable work event your employees will attend! How does the experience in an Escape Room benefit the team? White Rabbit Escape Rooms go beyond a cubicle with fun Team Building exercises that stimulate creative thinking, synergy and efficiency in the workplace. Through a myriad of puzzles, hidden clues and mind games, groups will be encouraged not only to work as a team but also to rely on the individual capacities of their members to succeed. Your company teams will have the opportunity to maximize efficiency by being placed in a high pressure and cooperative environment where they will have to trust each other to complete all tasks within the time limit. The result is then seen in the workplace: A team more united, cohesive and prepared for any obstacle that appears in its path! If your question isn't here contact us! q: WHAT'S AN Escape Room? A: An Escape Room is a live game in which you, your friends, colleagues or family are the stars. During the game many objects will be locked, hidden or inaccessible. To access them you need to solve puzzles or interact with the room in a certain way. The goal is to solve these puzzles, complete challenges and decipher clues to complete the mission and open the final door to escape! q: are the games safe? A: The rooms are completely safe. Anyone can leave the game at any time. The Game Master is also watching the game through cameras installed in the rooms to ensure your fun and safety. A: Generally anyone can play, but players under the age of 14 must have the consent of an adult to play alone. Children under 5 years old play for free when accompanied by an adult. A: Our games are designed to be played with a minimum of two people. The maximum capacity depends on the game. All this information can be seen in the description of The Rooms. q: WHAT HAPPENS IF I CAN'T SOLVE AN ENIGMA? A: During the game you can ask the Game Master for clues, so do not panic if you can't solve something! q: CAN WE TAKE PICTURES INSIDE THE ROOMS? A: Photos and videos are not allowed inside the rooms so there is no danger of spoilers for future players. However, you and your team will be photographed by our team at the end of the game as a souvenir of the experience. q: DO I HAVE TO BOOK THE ROOM? A: Yes. We recommend you to book online. It is very simple and a guarantee that the room is available. q: where and when can i book an escape room? A: Booking the room is very simple and you can do it directly on our website: choose the day, the time, tell us the number of players and leave us your email. Rooms must be booked at least 1 hour in advance. We always advise teams to arrive at least 15 minutes before the scheduled time in order to have time to listen to the rules, the story of the room they will play and enjoy their game time without stress. Q: WHAT HAPPENS IF I ARRIVE LATE FOR MY BOOKING? A: If the delay is significant, it all depends on how many rooms we have booked on that day. If there is no appointment immediately after your booking, your team can play without any problem. If the following schedule is already filled, we will try to accommodate the team at a later time / day. We always advise teams to arrive at least 15 minutes before the scheduled time in order to have time to listen to the rules, the story of the room they will play and enjoy their game time without problems.